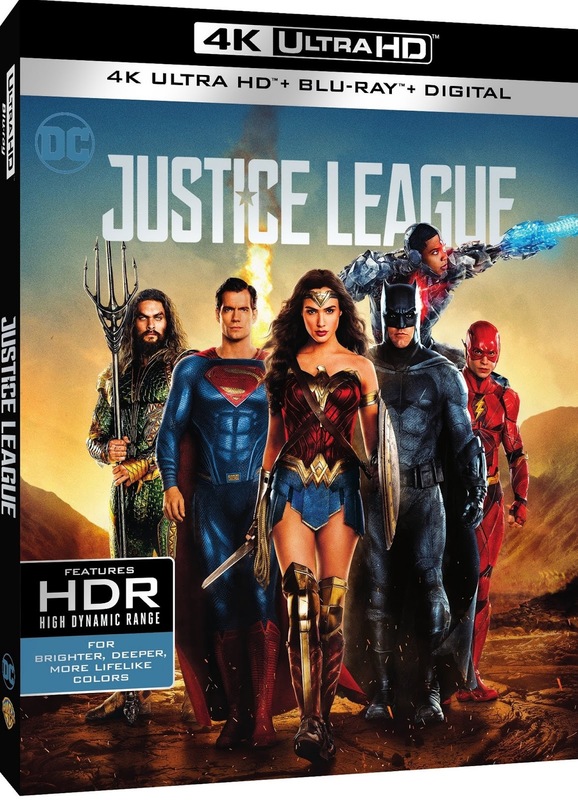 McBASTARD'S MAUSOLEUM: Own 'Justice League' on 4K Ultra HD Blu-ray Combo Pack, Blu-ray 3D Combo Pack, Blu-ray Combo Pack and DVD on March 13th, or Own It Early on Digital on February 13th! Own 'Justice League' on 4K Ultra HD Blu-ray Combo Pack, Blu-ray 3D Combo Pack, Blu-ray Combo Pack and DVD on March 13th, or Own It Early on Digital on February 13th! - Road to Justice: Journey alongside DC comic creators as they explore over fifty years of the Justice League, from comic books to animated adventures to their cinematic debut. - Technology of the Justice League: From Batman’s arsenal to Cyborg’s alien tech, interface with the Justice League database to learn their most advanced secrets. - Justice League: The New Heroes: Join Ray Fisher on a personal tour to meet the newest members of the Justice League: Aquaman, the Flash and Cyborg. - Steppenwolf the Conqueror: Join actor Ciarán Hinds and the filmmakers as they reveal the story behind mankind’s ancient enemy and the Justice League’s greatest challenge. Wilkinson explores the innovation and artistry that goes into creating the costumes of DC’s iconic heroes.